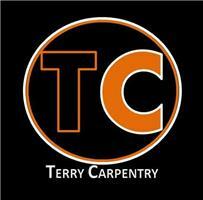 Terry Carpentry - Bathrooms, Bedrooms, Builder, Carpenter, Kitchens based in Poole, Dorset. We are currently offering a discount on fitting costs for any kitchen booked in for August - October. Hello, Thanks for viewing our page. Providing high quality carpentry and refurbishments to the Bournemouth and Poole area. We are a friendly and personal company delivering a wide range of skills to complete your project. Operating since 2009 we have successfully completed a large number of works. Ranging from day to day carpentry such as door hanging and flooring, to larger projects including structural alterations and loft conversions. Please feel free to contact Nick for any questions or free estimates. Refurbishments - From start to finish. Project management - Supply of trusted tradesman / materials. One stop service for larger projects. Kitchens - Supply and Installation. Highly skilled and experienced in all aspects of kitchen fitting . We are regularly contracted as fitters for local kitchen suppliers and private customers alike.